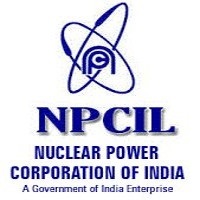 NPCIL Jobs Recruitment Notification 2019.Nuclear Power Corporation of India Ltd (NPCIL) inviting applications for the positions of Trade Apprentices.Interested and Eligible candidates can apply for the positions. Chest measurement - Expansion should not be less than 3.8. cms (Irrespective of a size of a chest). Vision - There should be no evidence of any morbid condition of either eye and the lids of either eye which may be liable to risk or aggravation or recurrence.